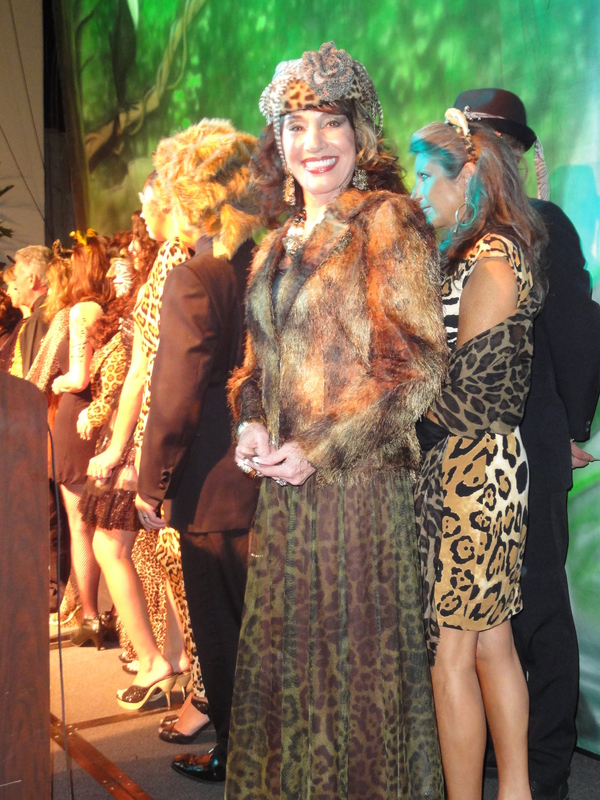 As a devoted viewer of “Animal Planet”, I was thrilled to be invited to the 2010 Fur Ball. 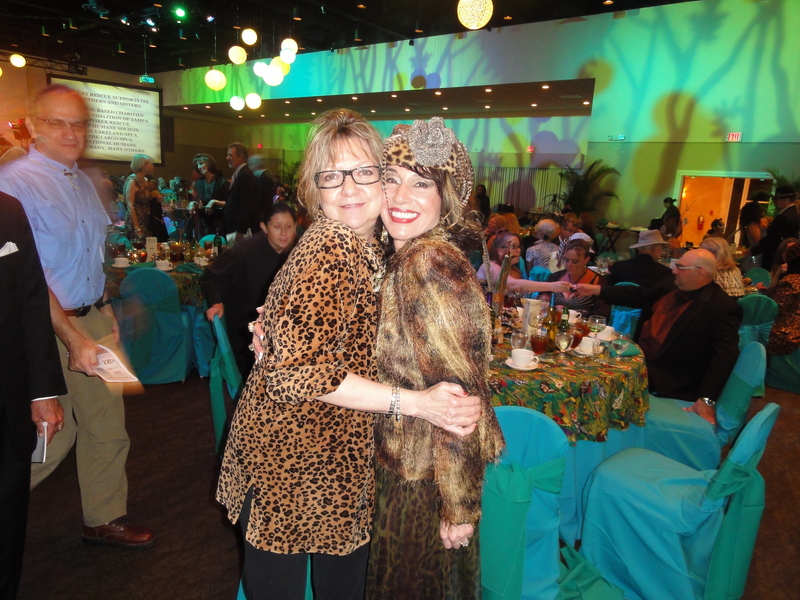 Big Cat Rescue was celebrating in a big way with an evening of wild fun and a feast fit for a king (of the jungle that is). 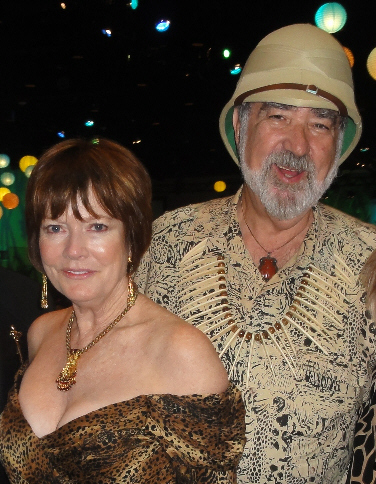 The attire was called “Safari Costume Formal”. It was definitely my kind of challange. 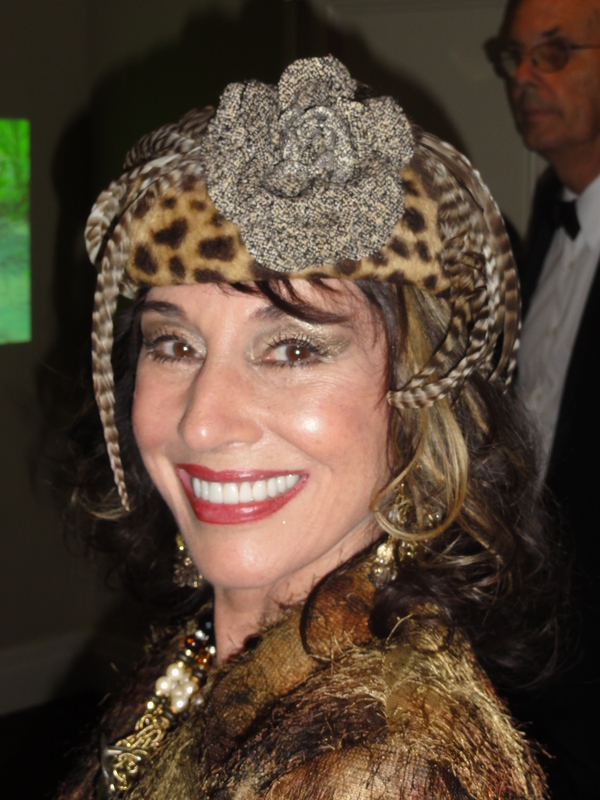 My date wore a Tuxedo, and, although it was the year of the Tiger, I was spotted from head to toe. I felt absolutely “fur-oucious”! 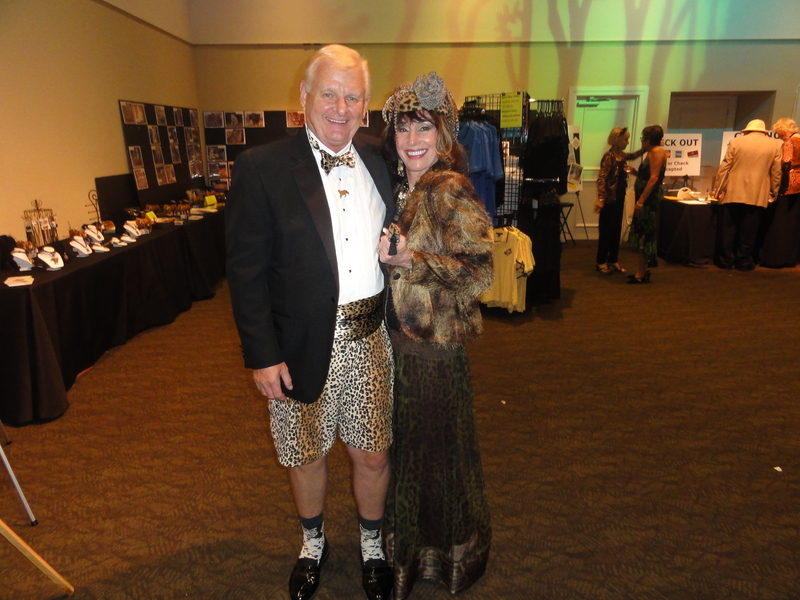 Proceeds from the Fur Ball will fund both the ongoing care of more than 100 big cats that reside at the Tampa sanctuary, as well as conservation efforts of the International Tiger Coalition. 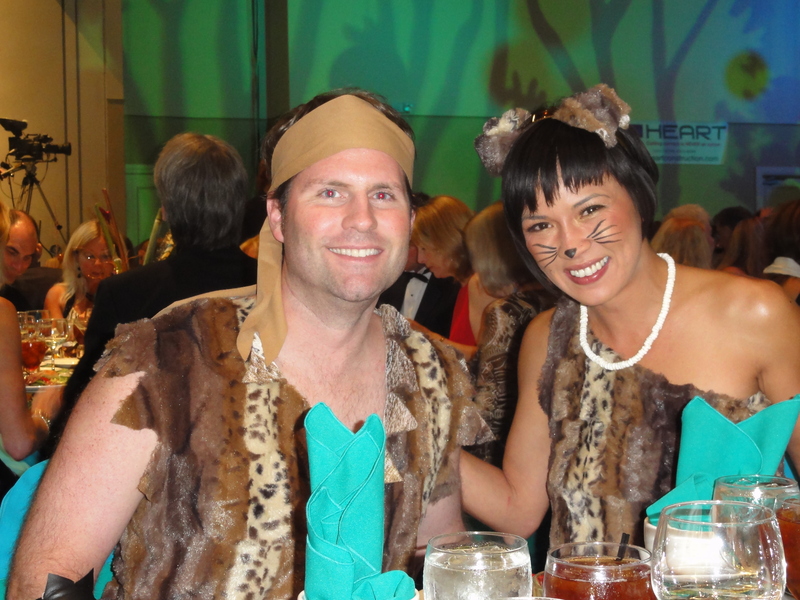 The event included a gourmet seated dinner, silent and live auction, costume contest, wheel of “fur-tune” casino table, live dance music, and a Drumming Circle. We visited the Wine and Bubbly Bar and sampled some award winning cheeses. I’m not sure why, but no meat was served at dinner. I know we don’t eat cats, but don’t cats eat meat? Maybe they were saving it for the Tigers. Nonetheless, the Roasted Salmon was delicious. 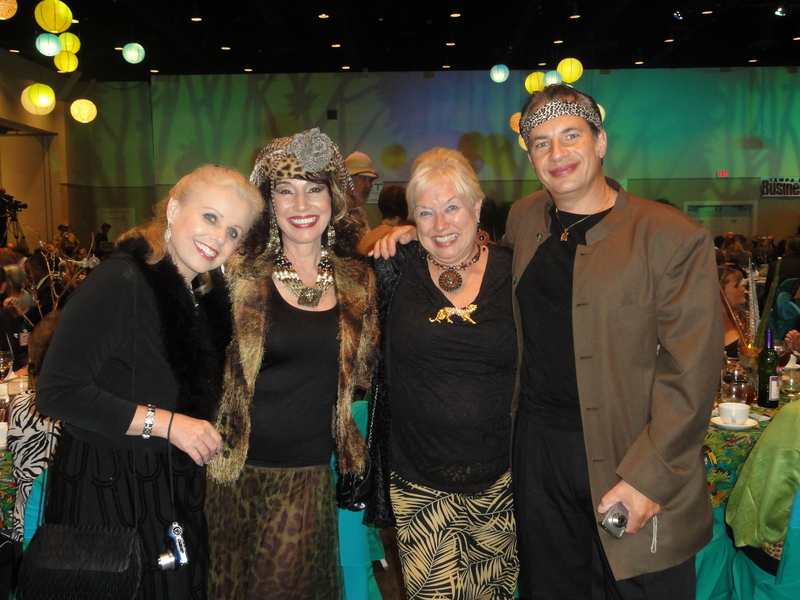 Our tablemates were fun and lively and several of my girlfriends “showed up” unexpectedly. 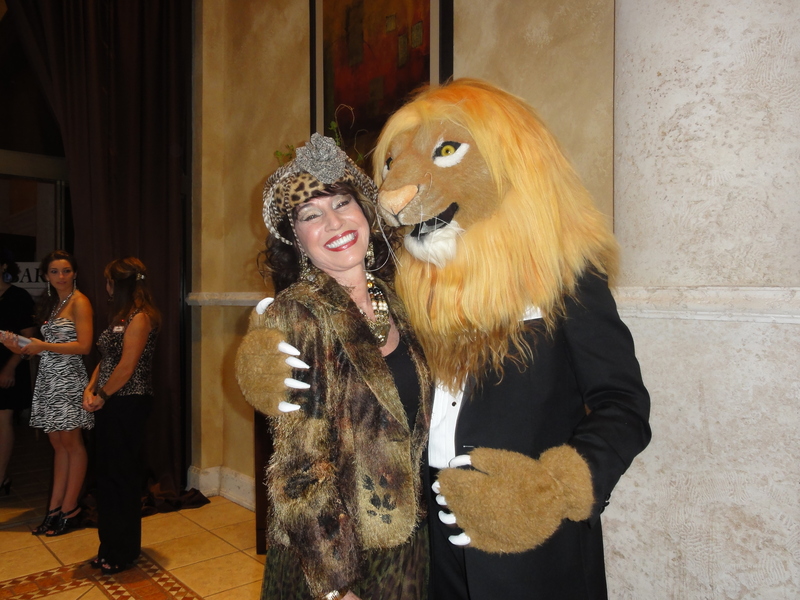 It was beginning to look like a “roaring” good time! Somebody talked me into entering the costume contest but I don’t think we were really competing. We drew cards from a deck and I think the one which matched the MC’s card was the winner. Oh well, there were some very creative costumes and everyone looked fabulous. A Big Cat Coffe Mug as a consolation prize was a nice gesture. After dinner I was introduced to the Drumming Circle. Wow, this is a good way to pound away your frustrations. And there appeared to be a lot of frustrated participants! There were 20 drums and people were fighting to get a seat. 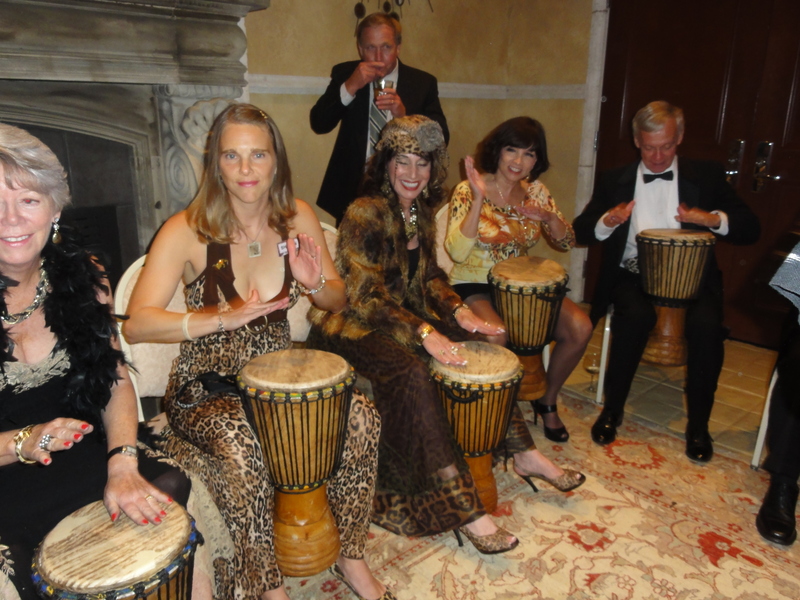 Those not seated began dancing in the circle and reving up the “jungle fever”. If you want to go “native”, this is certainly a fun way to do it. Bumping into my old friends Jewel and Jack was a special treat. They heard my name called for the costume contest and looked for me. I was rewarded with a much overdue hug. I definitely miss my good old days in South Tampa. After spending time with them, I was dragged onto the dance floor. I just hoped the band wouldn’t start playing “…oh wee ma wah oh wee ma wah…”. Once it starts, I can’t get that darn thing out of my head! The evening being far from over, I wandered into the Big Cat Bargain Room to hunt for great deals on gift certificates and home decor. In the meantime, I could hear the live auction and was hoping someone would bid on the “Bora Bora Paradise” or “Out of Africa Experience” for me. Didn’t happen!! At least I wasn’t presented with a gift of a “Botox Party” – that would have really hurt my feelings. The dancing and drumming continued until midnight but I took a stroll down the wishing lane to help make some big cat wishes come true. One could sponsor a section of perimeter wall, donate a shade tree, buy a tiger a new ball or donate tools to maintain the “Cat-a-tats”. When granting a wish, you receive a “paw print track”. (I can’t wait to place this in front of my neighbor’s door – the one who doesn’t mow his grass!). As we finally made our way out of the venue for the Fur Ball, I noticed a gentleman in a very “drafty” outfit. After saying hello, he gladly posed for for a quick photo. All I can say is that, as much as I love them, I would rather be – without my hat – than without my pants!